Coast Salish tribes, such as the Suquamish and Duwamish, have lived in the Puget Sound area for some 10,000 years, wintering in cedar-plank houses and setting up temporary camps at fishing, hunting, and berry grounds. They ceded thousands of acres in the mid-1800s to the US government but have continued to influence and leave their mark on modern-day Seattle. 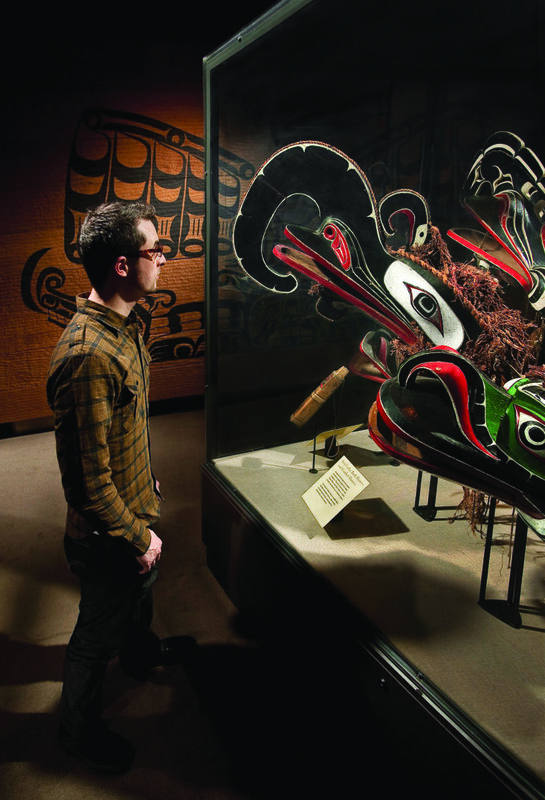 Explore Native culture at the Burke Museum of Natural History and Culture, the state’s oldest public museum, located on the University of Washington campus. Its artifacts include stone spears, woven-grass baskets, and a 37-foot story pole, carved by the renowned artist and Snohomish leader William Shelton. To hear the indigenous people’s perspective, head to West Seattle’s Duwamish Longhouse, near the ancient village site of hah-AH-poos. The traditional cedar-post-and-beam structure houses historic photographs as well as recordings in Lushootseed, a Coast Salish dialect. On the Kitsap Peninsula, a ferry ride and short drive from Seattle, the terrific Suquamish Museum is a modern masterpiece that tells a poignant story of the tribe’s past, present, and future. Hear oral histories, take a trip back in time along the carved timeline wall, and see photos, textiles, and other tribal artifacts. A two-minute walk from the museum takes guests to the grave of Chief Sealth, the leader who gave his name—tweaked a little—to the city of Seattle. Back in Seattle, Daybreak Star Center at Magnolia’s Discovery Park is the heart of the Native community. 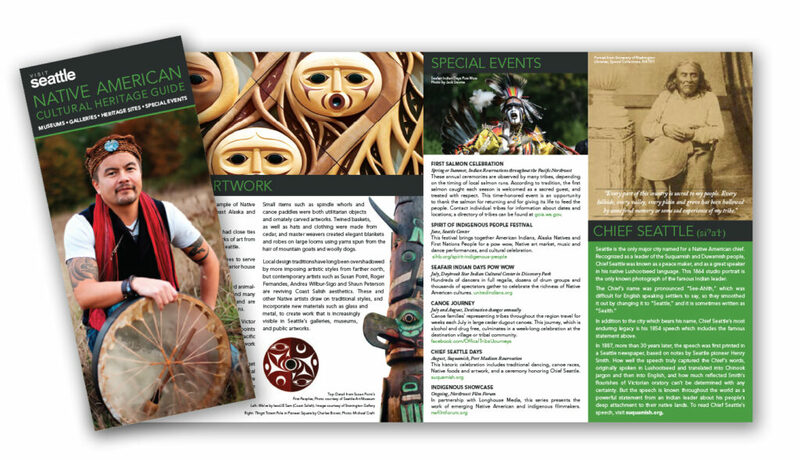 A collaboration between various tribes, it hosts several seasonal festivities, including the city’s annual Indian Days Pow Wow in July, which features drummers and dancers in traditional regalia. Year-round, visitors can drop by Daybreak to visit the Sacred Circle Gallery inside, where contemporary and traditional Native art are on display. Try downloading the STQRY app (stqry.com/discover) for a self-guided, go-at-your-own-pace tour. The food truck Off the Rez demonstrates Seattle’s melding of cultures. It serves crispy, honey-tinged frybread (a must) and frybread tacos slathered in smoked pork or chicken chile verde. For a more classic experience, board an Argosy Cruises boat to Tillicum Village, located on Blake Island. Guests have the opportunity to admire a collection of totems before partaking in a traditional salmon bake and show, with storytelling and tribal dances.